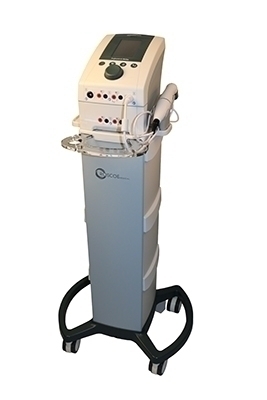 The InTENSity" Professional CX4 is an advanced combination four-channel electrotherapy and ultrasound system that offers the practitioner a wide range of treatment options in one user-friendly unit. Four channels of independent stimulation can be used in a combination or independently and the multi-patient function allows the practitioner to treat up to three patients at once, making it an economical option for a practice. The therapy cart allows for easy transport.